One of the advantages of Dr. Edalat’s cosmetic dental studio is that you can complete your entire treatment by certified specialists who communicate in detail all aspects of the treatment that are interrelated for optimal results. Most patients don’t like the inconvenience of having to go to different offices to complete their work. There is also the risk that the timing sequence to complete a certain treatment when it is being done at different offices may compromise the final result. Also since the work is being done in different offices there may be a mis communication between the referring doctors which may also compromise the final result. 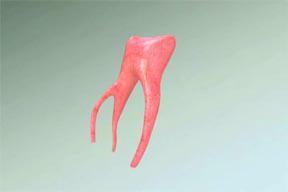 There is throbbing, severe tooth pain especially when lying down at night. If we determine that you have an infected tooth, we talk with you about root canal therapy to remove the infection and save the tooth. It is important to treat an infected tooth in order to prevent the infection from traveling through the root tips and causing a painful abscess in the jawbone. 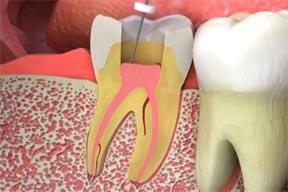 Sometimes a chronic infection may become life threatening because it can spread to the heart muscle or brain in which case you may need to perform heart surgery, etc…Therefore the sooner you treat an infected tooth the better because there will be less loss of tooth structure, which will facilitate its restoration after the root canal therapy. The pulp capping procedure is used after decay has been removed from the tooth and before we place the filling, crown, or other restoration. 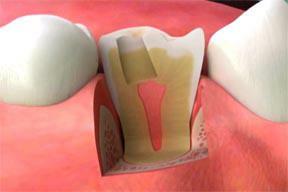 The first step is to determine whether pulp capping is right for your tooth. We confirm that there is no pain in the tooth and that the pulp is healthy and free of infection. After we make sure that all the decay has been removed, we clean and disinfect the area. Then a special material is placed over the pulp chamber. 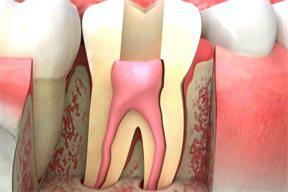 This stimulates the inner tooth structure to repair itself and seal bacteria out of the pulp chamber. Depending on your situation, we may place a temporary restoration, or we may place the final filling or crown. 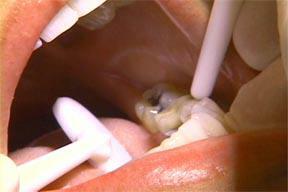 After the procedure is complete, we monitor the tooth for several months to make sure the pulp is healing. When pulp capping is successful, the procedure can soothe a tooth’s irritated pulp and help it to heal, seal out bacteria, and prevent the need for root canal therapy. First, we numb the area to keep you completely comfortable throughout the procedure. Then we make a small incision in the gums next to the tooth’s root. We carefully remove the thin bone covering the tooth’s root so we can access it. The bone tissue will heal to fill in the area around the tip of your tooth’s root, and your tooth will once again be healthy and pain free. 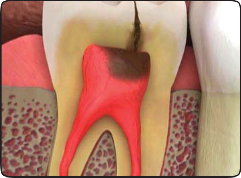 When the pulp layer of a tooth becomes infected, it is necessary to remove the infection with root canal therapy. In some cases, we need to schedule two appointments to complete the treatment. It is a generally comfortable procedure that saves your tooth and gives you back your healthy smile. At the first appointment, we start the procedure by numbing the area completely to keep you comfortable. We may also place a rubber dam around the infected tooth to protect your mouth and ensure that nothing falls to the back of your throat while we work. 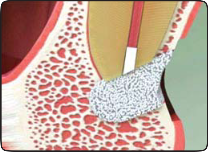 To get at the infected tooth pulp, we make an opening through the top of the tooth, down into the pulp chamber. We use a tiny instrument called a dental file to carefully clean out the infected tissue and shape the root canals to receive a filling material. To make sure that all of the infected pulp is removed, we may take x-rays or use other instruments. We then put medicine in the tooth to help it heal and place a temporary restoration to seal it. At the second appointment, we again make sure you are completely comfortable. Then we remove the temporary restoration and place a filling material into the root canals to seal them. 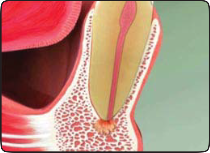 To find an endodontic abscess, we perform a thorough examination, including x-rays. 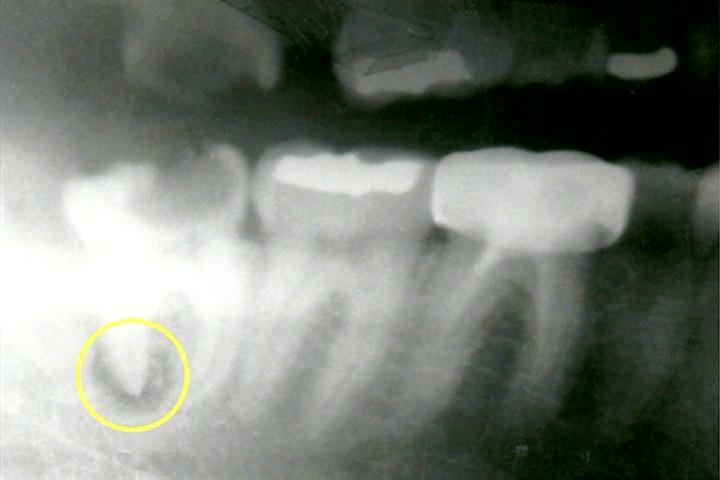 On the x-ray above, you can see a dark area at the root tip, which indicates an endodontic abscess. We may also use an electric pulp tester to determine whether the pulp is inflamed or infected. Why a root canal after a crown? 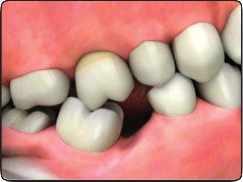 If you have a crown, it was placed because the outside of the tooth was damaged and needed more than just a filling. But the crown doesn’t protect the inside of the tooth, called the pulp. The pulp contains the nerves, blood and veins that keep the tooth alive. If this pulp becomes infected it will need root canal therapy. Infected pulp will not heal on its own. 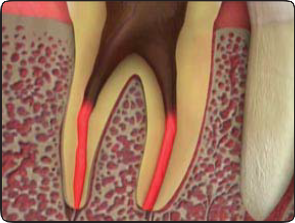 If we don’t perform root canal therapy, the infection can spread and cause a painful abscess. In some cases, we may be able to enter through the crown. Once we clean and repair the root canals, we can simply restore the crown much like we’d restore a natural tooth. Otherwise, we may have to remove the crown in order to remove the infected pulp and treat the roots. We’ll then need to create and place a new crown. 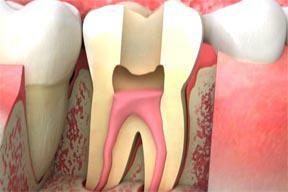 Root canal therapy, even on a crowned tooth, is done to help save the tooth. It’s our goal to give you a healthy, beautiful smile. Replacing a missing portion of a tooth when a tooth is severely broken down, there may not be enough tooth structure to securely hold a crown. 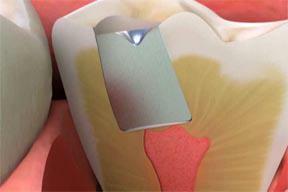 We use a cast post and core to replace the missing portion of the tooth. A cast post and core is a one-piece unit. 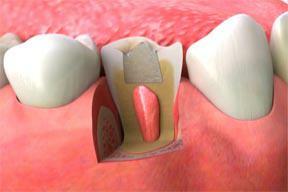 The post section is placed into the inner part of the tooth, and the core provides a foundation for a crown. It is precision-crafted in a dental laboratory, so the procedure may take two or more appointments. After a tooth has had root canal therapy, we recommend placing a crown on the tooth. 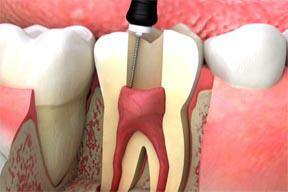 Root canal therapy reduces the strength of the tooth, and a crown can cover and protect it. 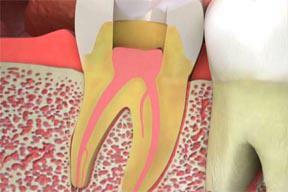 How does root canal therapy affect a tooth? 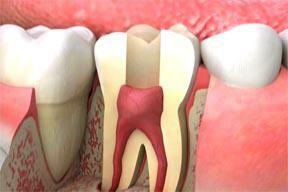 Root canal therapy leaves a tooth brittle and weak. 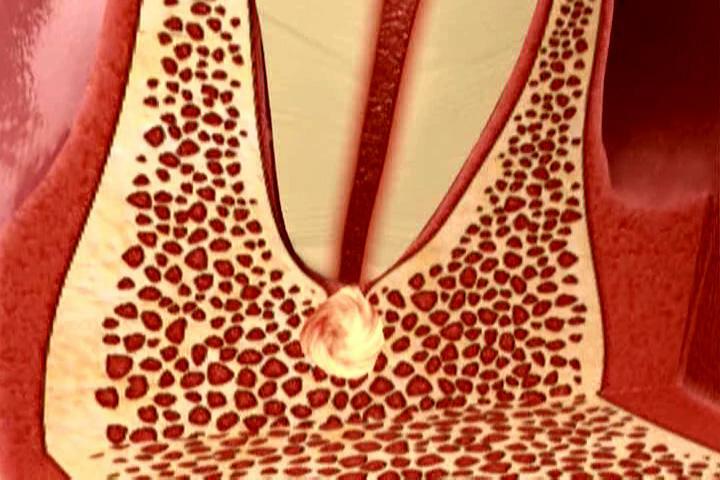 The inner pulp layer of a tooth contains its nerves and blood vessels, so the tooth loses much of its blood supply when the infected pulp is removed and the tooth’s root canals are cleaned out. 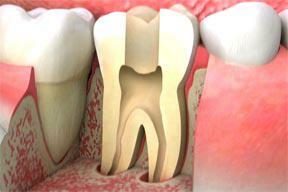 The tooth is weaker also because only the sides of the tooth are left for support when the center of the tooth is gone. 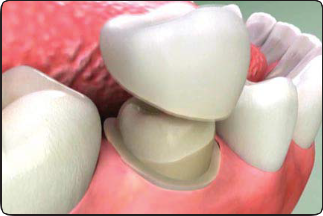 A crown can prevent these problems by covering and protecting the tooth and restoring its strength and shape. There are many kinds of crowns, including crowns made of gold, porcelain-fused-to-metal, and porcelain. We’ll talk with you about the best one for your situation to help you keep your healthy and beautiful smile.